Peter Wagon helps celebrate the Queen’s Diamond Jubilee with an exhibition of his work, featuring as the centre piece the now rare poster that he designed for the Post Office Savings Bank in 1952 for the Queen’s Coronation, to be held in the Marlowes Shopping Centre, Hemel Hempstead, Hertfordshire from Wednesday 30th May 2012 until Saturday 16th June 2012. The exhibition will be officially opened by Dacorum MP Mike Penning on Wednesday 30th May 2012 at 11.30am. When the poster was produced it would have been displayed in every Post Office in the country around the time of the Coronation celebrations, but as the postmasters received regular deliveries of new posters, the old posters would have been destroyed, making it extremely unlikely that any other copies of the poster have survived, leaving only Peter’s copy and the original painting he made, which was held at the National Savings Bank national archive. Mike Penning recently visited High View Lodge in Hemel Hempstead to see Peter Wagon on Friday 9th March 2012 and while he was there had a chance to see the poster. 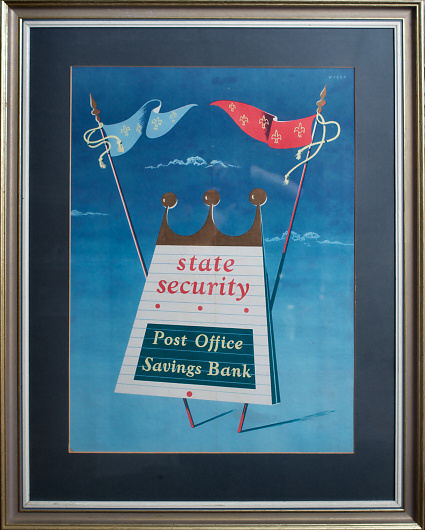 Peter also painted a number of pictures of Post Offices around the country for the Post Office Savings Bank that were used in their campaigns to promote the Post Office Savings Bank. 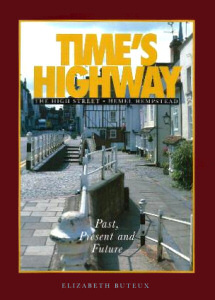 The last painting in the series, produced by Peter, was the Post Office in Queensway, Hemel Hempstead. 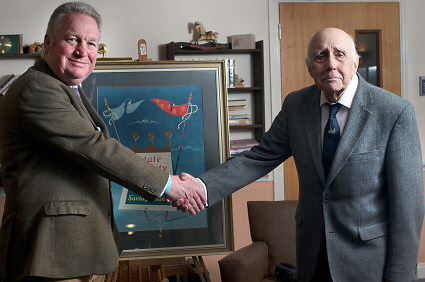 The Post Office presented the original painting to Hemel Hempstead, and Dacorum Council has kindly agreed to lone the original painting of the Queensway PO for the exhibition. Also on display will be paintings of a number of other Post Offices from the series that were produced by Peter. Together the poster and these paintings provide an interesting perspective of a bygone era from when Elizabeth II was crowned as the Queen of England 60 years ago. The exhibition will run daily from 10.00 am till 4.00 pm Mondays to Saturdays and 11.00 till 4.00pm on Sundays.